2. 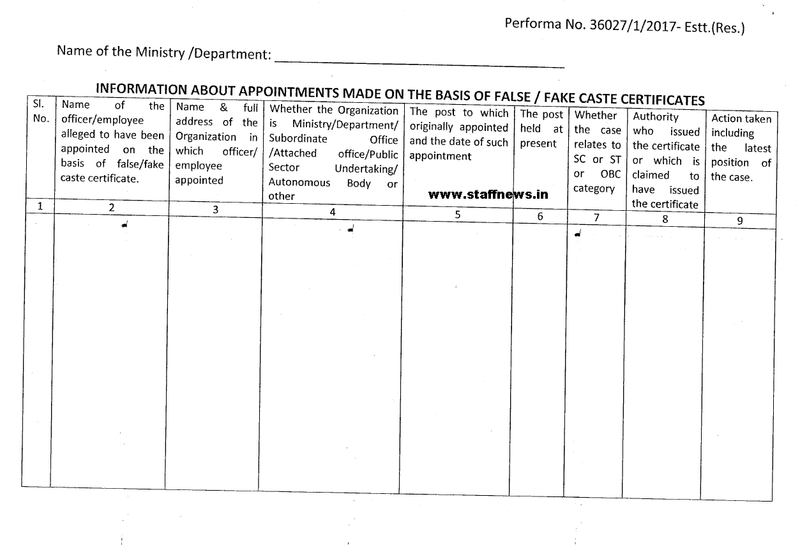 It has been decided to collect information from all the Ministries /Departments about appointments made on the basis of fake/ false caste certificates and follow up action taken thereon. 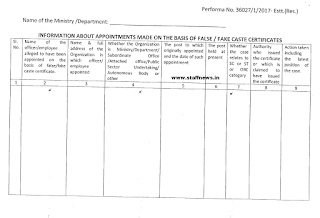 Therefore, all the Ministries /Departments are requested to collect information from all Organisations under their administrative control about the cases where the candidates got/ alleged to have got appointment against vacancies reserved for Scheduled Cates, Scheduled Tribes and Other Backward Classes on the basis of false/ fake caste certificate and send a consolidated report in this regard in the enclosed Proforma to this Department by 15.07.2017 positively.